Since the Lenten season began last week, my travels and search for worthy restaurants in the city have slowed down, but not to a grinding halt. After all, I still have to eat. 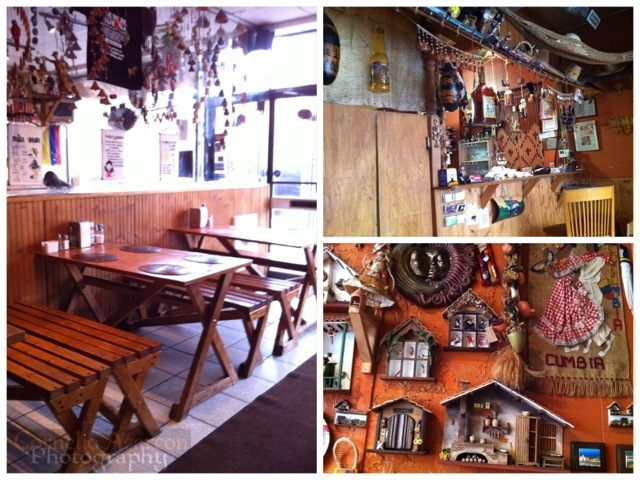 On Tuesday after work, upon a friend’s recommendation, a friend and I drove to the Bloor West Village neighbourhood of Toronto for some Colombian cuisine at Los Arrieros Restaurante. The restaurant is located in a small unit with limited seating on the main floor, with additional seating downstairs. It is decorated with various Colombian wood carvings and other trinkets. The seats and tables are picnic style benches made of wood with a nice medium tone to it, that lends itself to the relaxing atmosphere in this dining establishment. The waitress was very welcoming and friendly. The only problem with the location is the very limited availability of parking spaces, but we found a spot on one of the neighbouring streets. 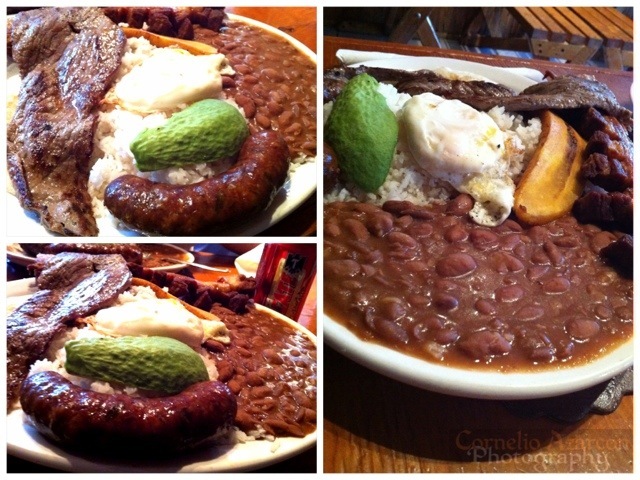 I ordered the Bandeja Paisa platter ($15.99), which was a generous platter of flat steak, chicharron, chorizo, fried egg, fried plantain, beans, avocado, and rice. All protein on the platter were well cooked and well seasoned and quite tasty. The chorizo was bursting with flavour, with a hint of cumin among other spices. Meals include complimentary 100% Colombian Coffee, a dark roast which was very robust in flavour, a must for coffee connoisseur. Overall, prices are reasonable for the amount and quality of food. Desserts are home made flans of assorted flavours, and are good or sharing. Definitely a place I’ll visit again.